Pretty jewelry made from gel-like plastic. Makes great fillers for girly treat bags. 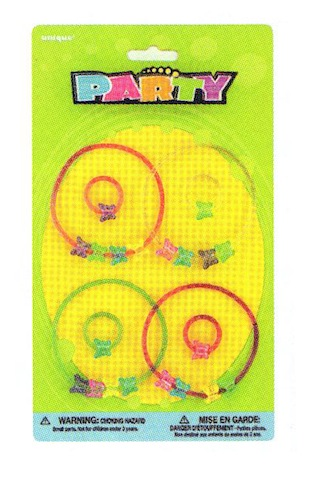 Pack contains matching 4 bracelets and rings.